Chef Matthew Sartori has stepped up to lead the kitchen at Perth fine diner Wildflower. 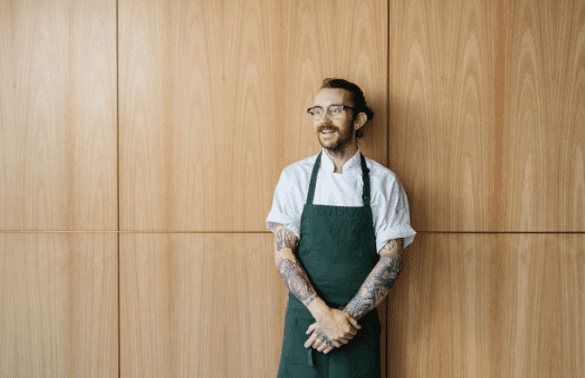 Como The Treasury announced that Sartori would replace outgoing executive chef Jed Gerrard. Sartori has been with the Wildflower team since its opening. “The most exciting challenge of working with native ingredients is respecting their delicate seasonality, but the rewards are endless, allowing you to forge your own techniques without boundariesm” said Sartori. Anneke Brown, general manager at COMO The Treasury, said Sartori has been an instrumental part in the opening team at Wildflower. “Matt has been Jed’s right hand man, and steps into the leadership role with great passion and commitment to the vision of Wildflower,” she said.